See the bottom of the article to contribute. 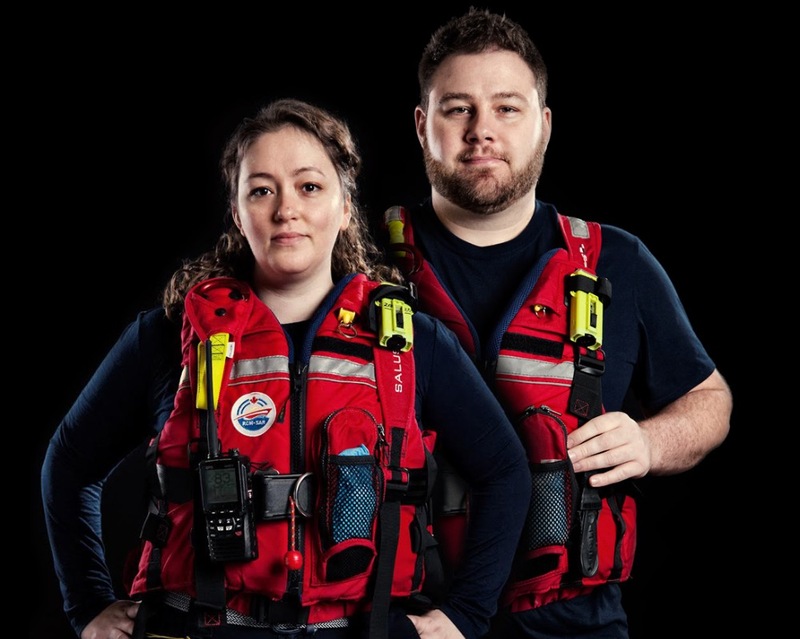 Two years ago, we tentatively made the decision to start volunteering with The Royal Canadian Marine Search & Rescue, and almost instantly it grew into a passion for both of us. Over the course of the last few years we have dedicated hundreds of hours to training, being on call day and night, as well as other tasks around our rescue station ranging from maintenance to fundraising, and of course being called out on over 50 marine emergencies. In the past year, we started seeing more and more news of the growing European migrant crisis – especially, refugees from African countries risking (and all too often losing) their lives, trying to cross the Mediterranean Sea, hoping to escape war, violent regimes and terrorism. This has been heartbreaking for us to watch. As search & rescue crew members, we spend countless hours preparing for potential marine emergencies. In the Mediterranean Sea, people have been dying by the thousands – just over 5000 deaths in 2016 alone. So we decided to apply our experience and training with man-over-board situations, boat handling etc. and started to explore our possibilities to volunteer with NGOs. We want to be clear: we are, at this moment, not concerned with the politics of the situation. This is a humanitarian crisis, and what matters to us is that people are losing their lives in an environment we are trained to help in. We have made arrangements with German NGO Jugend Rettet to join their crew on board the IUVENTA this September for 3 weeks and save as many lives as we can. We are asking for your generosity to help us prepare and make this trip a reality. Your financial help would go a long way towards flights, health insurance and vaccinations, and safety gear. Marleen is booked and going regardless, but if you have met us, you know that we are most awesome as a team! Jeff is going to need about $1800 for flights from Canada to Malta and back. Because this takes place between the shores of Malta and Italy, there is inherent medical risks involved. Jeff requires some vaccinations (Hepatitis A and B, Measles, Polio, Rabies), and we need money for appropriate health/travel insurance. We will likely have to replace some of our personal gear (things we bought ourselves to use during our RCMSAR duties, but not issued through RCMSAR) after exposing it to harsher-than-usual environments. For example, we were told to expect that the boats/floats the refugees use will contain a toxic mix of gasoline, salt water and human waste, so I expect that we will have to replace our boots and clothing after the mission. While the NGO will provide us with their own basic personal protective equipment, we are trained and most comfortable having a certain level of PPE – helmets, strobes, etc. – and would like to bring some of our own stuff just so we can be absolutely sure that everything is in working order, and we know how to use it. And, as they say, “pack your own parachute”! In the event that we meet and exceed our funding goal, any money we end up not using for this mission and rescue gear will be donated to Doctors without Borders (who operate on the Mediterranean Sea as well). Thank you so much for your support. We look forward keeping you updated on our progress. * Please note that while we are proud to be a part of RCMSAR, and while our rescue station is supportive of our plans, they are in no way associated with the situation in the Mediterranean, our travel plans or this GoFundMe.